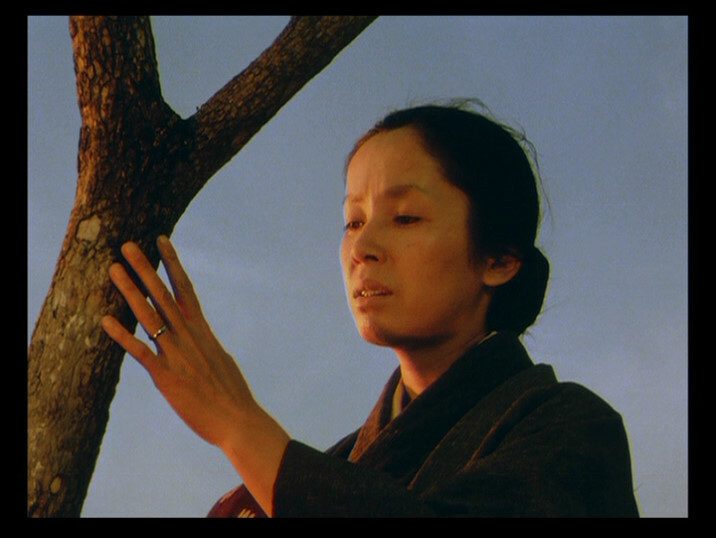 The Knight Of Love – From Akira Kurosawa’s “Dodeskaden” (1970) – Is Betrayal Of Love A Spiritual Betrayal? Is Betrayal Of Love Soul Killing? Does Betrayal Of Love Make Life Deadly? 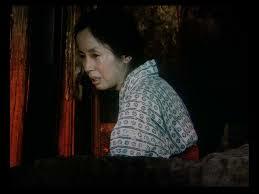 Posted by Victor-Katia as Discussion and Mind-Probing, Examples of Semantic Richness of Cinematic narrations, The Knight Of Love – From Akira Kurosawa’s “Dodeskaden” (1970) – Is Betrayal Of Love A Spiritual Betrayal? Full of crushing guilt and self-condemnations she decided to visit him in the slum. 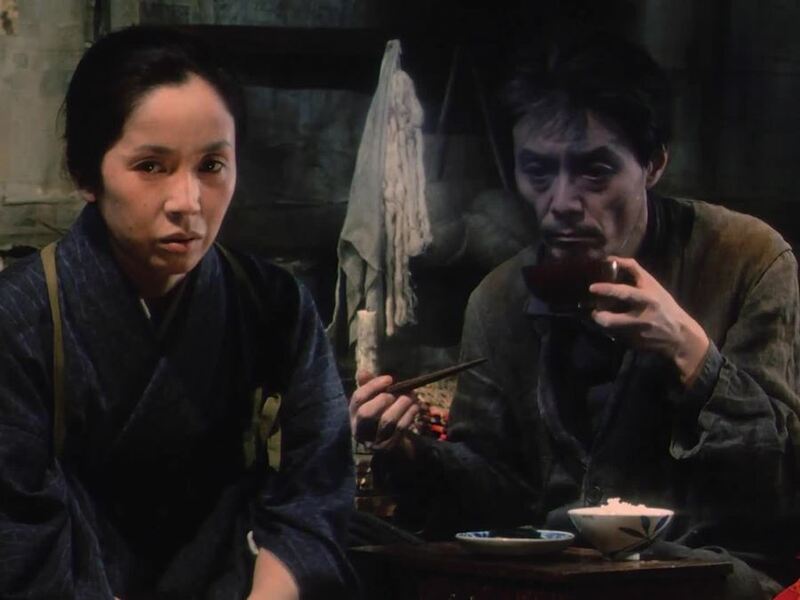 May be, Ocho (Tomoko Naraoka) believed that to beg her husband, Hei (Hiroshi Akutagawa) to forgive her would start to heal the relationship between them. May be, she wanted to try to clear her own soul after what’s happened. May be, the power of her love for Hei, which was always there in spite of her ghastly mistake, can be able to return him back to life. Every day Ocho tried hard to share Hei’s life – this time – in the slum – to get him back to a normal life, where they were so happy for many years. Ocho thought that her sincere and frank confession will reach her husband’s heart, but weeks followed one another and nothing happened. Hei didn’t want even to notice her and never spoke even one word. Here, we see that Ocho is, as if, asking for our, viewers’ compassion in a situation of being refused – not already in a context of love, but as a human being. 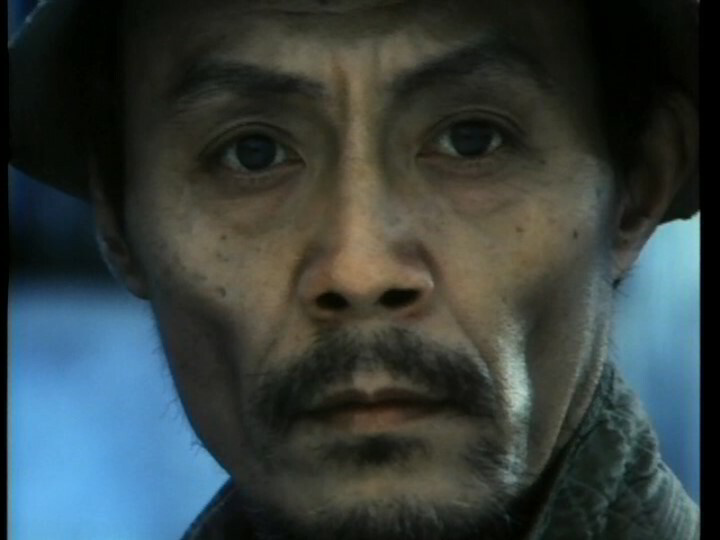 But it looks like that the condition of Hei has nothing to do with Ocho anymore. Life, as her husband, perhaps understands it now – is allowed the betrayal of love to take place – not just betrayal – the murder of love. He is outside of this life. No, his soul is dead, he is spiritually dead – a living body without a soul. 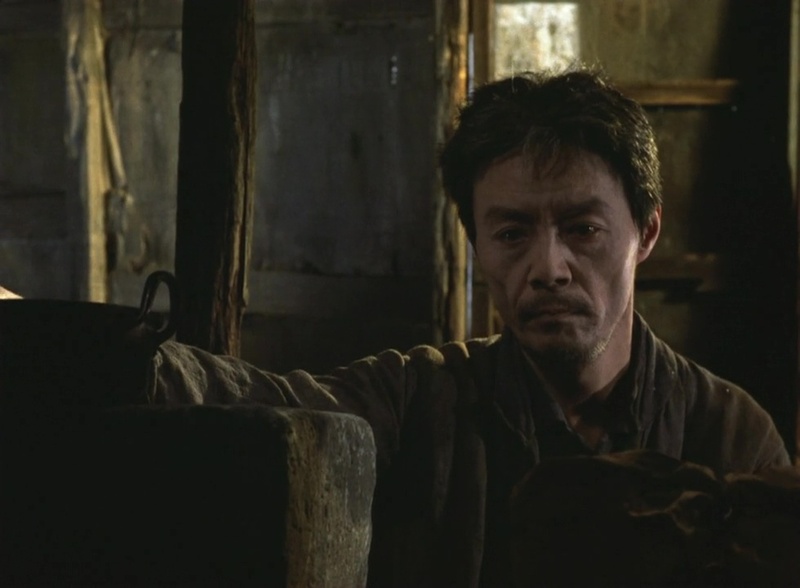 In his gaze – the gaze of a person who was alive some time ago – is that of death, not already the betrayal of his love by a woman who was his wife. Now, he sees only one thing – life without soul, life without life. Ocho feels that the consequences of her moments of weakness are far away from what she did, and she doesn’t know what to do now. Ocho understands that the point here is already not her betrayal – she redeemed it by her confession to her husband, by her humility and her repentance. And now it is already not between her and him. Now it is after their life. Now it is about death, refutation of life on part of life. Sure, personal betrayal, especially that of such a holistic feeling as love is monadic and as such is limited by the personal relationship. But the betrayal of human holistic identity leads people today to a condition of being and living without souls, and not only by the reason of betrayal of personal love, but of their own humanity by their conformist behaviors and corrupted and vain choices. The point here is not that their factual deeds may or may not be forgiven (which is rather self-centrist perspective), but it’s a matter of irresponsibility of our blind consumerist greed and addiction to entertainment which are changing not only us, but the world – for example, by destroying the condition of the precious natural environment for human, animal and flora’s life, the precious and fragile gift of life. 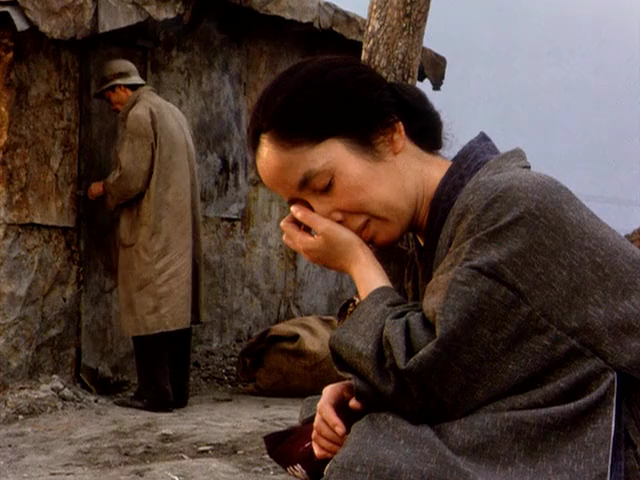 This segment of Kurosawa’s incredible “Dodesukaden” provides just one among many examples of humankind’s tragic decline. 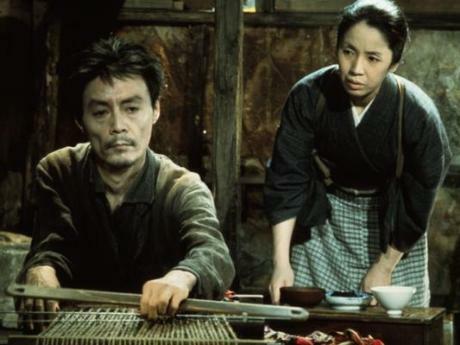 There’re fewer and fewer people like Kurosawa’s Ocho, a woman of rare dignity whose spiritual ability to transcend her own obsessions makes her incomparably superior in comparison with today’s “emancipated” females competing with males for high-salaried jobs and shining careers.